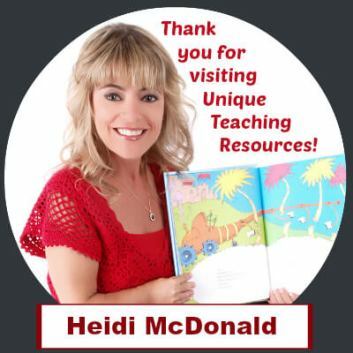 I, Heidi McDonald, have created and designed all of the projects and templates that are found on Unique Teaching Resources and they are copyrighted and the property of Unique Teaching Resources. I have created the majority of these projects and templates in Microsoft Word and then converted them into PDF files. I have converted these projects into PDF files so that font and formatting does not change when teachers download the resources that I have designed onto their computers. You may save the resource set that you purchased on your hard drive, flash drive, or copy them onto a CD. 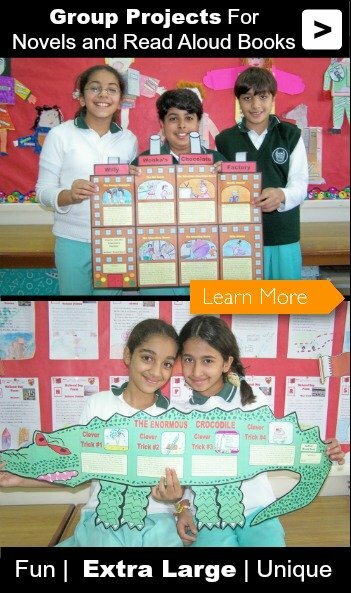 You may email yourself a copy of the resource set so that you have access to it at home and at school. You may make copies of the worksheets and templates for your students on your school's photocopy machine, or you can take them to an office supply store and have them printed there. You may make as many copies of the student worksheets and templates as you need for your students and your own use. You may not post the PDF files from the resource set that you purchased on your school's server, your blog, your website, any other website, or in any other digital format. You must print the worksheets that you need for students on a photocopy machine. You many not give students (or teachers) a website URL address where you posted the PDF file and ask them to print the worksheets and templates themselves. You do not have permission to share the resources that you purchased with other teachers. If two teachers want to use a resource set with their two classes, then two resource sets must be purchased. 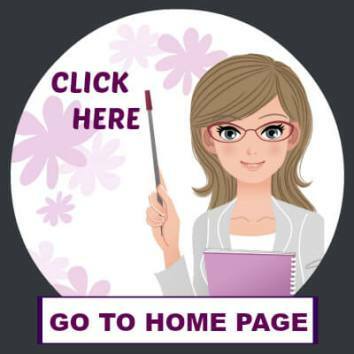 If you are making a purchase for a large number of teachers to use, please use my Contact Page and I will be able to provide you with a group discount and/or site license. You may not remove or alter the trademark copyright logo of Unique Teaching Resources from any of the templates, worksheets, projects, and banners that you purchase on Unique Teaching Resources. You may not sell any of the resources that you purchased on Unique Teaching Resources to other teachers that you work with, on your blog, on your website, on your school's website, on TeachersPayTeachers.com, or any other website. You may not alter the resources that you purchased on Unique Teaching Resources and claim them as your own to either share with others for free, or post for sale on your blog, on your website, on your school's website, on TeachersPayTeachers.com, or any other website. You may not post a resource that you purchased on Unique Teaching Resources on your school's server (or anywhere on the Internet) to share with your students and/or the faculty at your school. This means that you not may distribute copies of the worksheets and templates to your students over the internet, through your own website, or through your school's server/website. If you do, this method of distribution makes Unique Teaching Resources' copyrighted material available to anyone on the Internet. I do searches on the Internet and I find teachers in violation of this copyright policy every week. Instead, you must photocopy the worksheets and templates to share them with your students. If you post Unique Teaching Resources' copyrighted material on your school's server, or anywhere on the Internet, I will contact your principal and demand that the material be removed. This will be embarrassing for you and your administrator will be annoyed that you have put the school at risk for a lawsuit. I have written over 500 letters to school principals informing them that a teacher at their school has violated Unique Teaching Resources' copyright policy. Every week I perform searches on the Internet to see if Unique Teaching Resources' copyrighted materials are posted elsewhere on the Internet other. In some cases, I have contacted my lawyer and had my lawyer deal directly with the school's principal (or district level administrator) to seek compensation for the loss in revenue caused by their employee when he/she distributed Unique Teaching Resources' copyrighted material through the school's server, or the teacher's own website or blog. I have written over 100 letters to websites such as TeachersPayTeachers.com to inform the company that a teacher is using their platform to sell and distribute Unique Teaching Resources' copyrighted material. 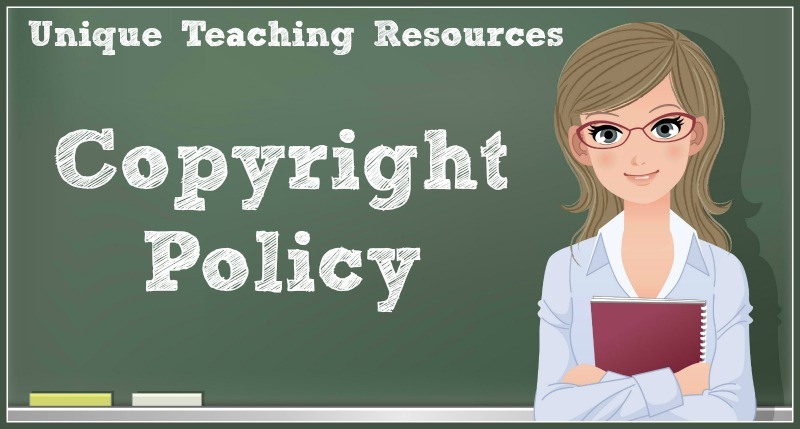 Please see the above copyright policy for purchased products, as it is the same for all of the free resources that you download on Unique Teaching Resources. You may make as many copies as you need of the free resources that you downloaded for your students, or for your own use. You may not post, or sell, the resources that you have download for free from UniqueTeachingResources.com on your school's server, your website, your blog, TeachersPayTeachers.com, or on any other website. All of the photographs of projects and resources on Unique Teaching Resources were taken by me, Heidi McDonald and are copyrighted. The photographs and graphics of teachers, students, school supplies, nature, etc have been purchased from companies by Unique Teaching Resources under license. When purchasing photographs, Unique Teaching Resources purchases the right to add text, graphics, designs, borders, and watermarks to the original photograph. 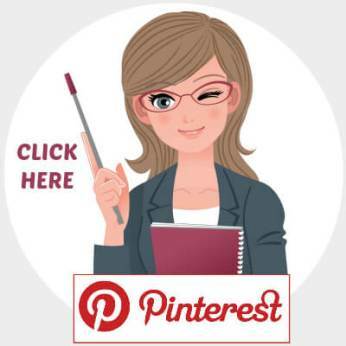 You may pin any of the photographs and graphics that are on Unique Teaching Resources to your Pinterest boards. You may not alter the image/graphic/photograph. You may not remove the watermark from the image/graphic/photograph. You should provide a link back to the page where the original image is located on UniqueTeachingResources.com. 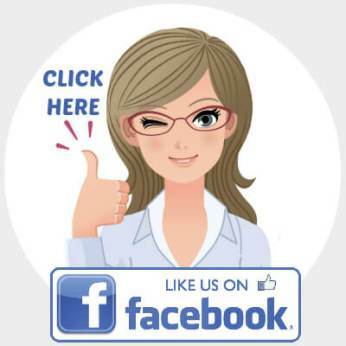 Thank you for being professional and for following the copyright policy found on this page.